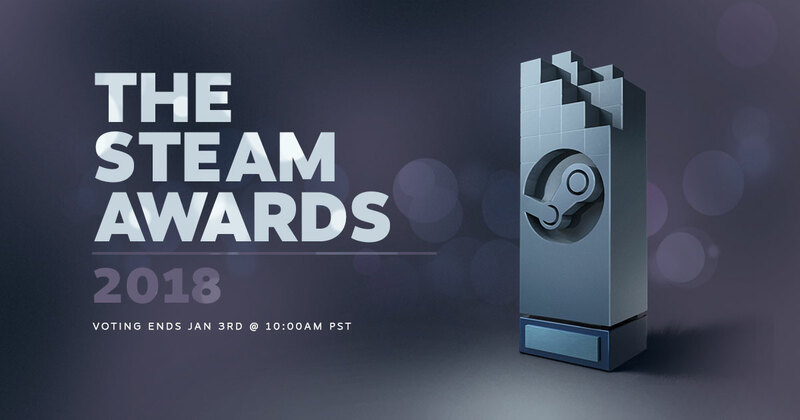 The Steam Awards 2018 nominations have been announced. Ubisoft and Bethesda on the “Best developer” list are you shitting me royally? That’s why I am happy to be writing reviews for indie games, because they don’t get as much attention and notice. The fact that Bethesda managed to get not ONE but TWO titles on the VR space for $60 re-releases with zero polish and even content locks for owned content… that’s abysmal. This really just begs the question… do the voters in that category even own a VR headset? I was expecting the votes to be way off as always, but this is just… a late, out-of-season April Fools joke. The badge-earning system does push people to vote for VR even if they do not have one. Not to mention that people tend to just vote for whatever they like without thinking much of the category/context. So the result is not surprising. Voting for the Nominations are now open. Check out the front page of Steam for a daily set of featured deals, recommendations, and a variety of new ways of browsing the games on sale. Plus vote for your favorite games and developers in The Steam Awards! CD Project Red and Klei are acceptable options. I was having problems though as the site wouldn’t accept that particular vote, every other one registered without issue. Even now, it has accepted my vote but it says I voted for “uninitialized”. Something’s wonkey for sure. Best alternate history was the hardest one as there was almost only trash on offer. Environment had a few acceptable choices though. Bets alternate history was the hardest one as there was almost only trash on offer. these are my choices, & i agree with @Fraggles “Best alternate history” was one of there harder choices but i heard Civ VI is a pretty good game so i voted for them.